Last Friday (4 October) marked the 30th anniversary of Thrust 2’s record-breaking 633.468mph run at Black Rock Desert in Nevada, USA. 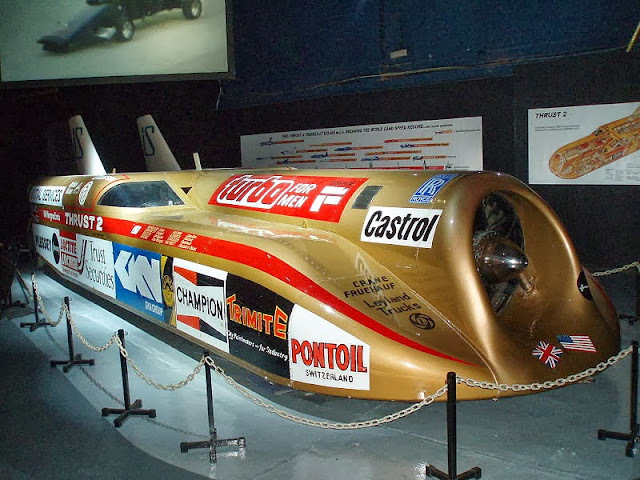 Driven by Richard Noble, the jet-powered car reached a top speed of 650.88mph, the record being the average speed of two timed runs completed within an hour. Noble re-claimed the record for the UK, which had been held by various Americans since 1964. Thrust 2 is now on display at the Coventry Transport Museum. Noble went on to mastermind ThrustSSC, the first car to break the sound barrier, driven by Andy Green, achieving 763.035mph in 1997. Now, he is the driving force behind BloodhoundSSC, the jet- and rocket-propelled car that will hopefully become the first land-based vehicle to reach 1000mph. It’s now 40 years since everybody’s favourite trackday weapon, the Caterham Seven, was launched. The car came into being when Surrey-based Lotus dealer Caterham Cars bought the manufacturing rights for the discontinued Lotus Seven, first seen in 1957. 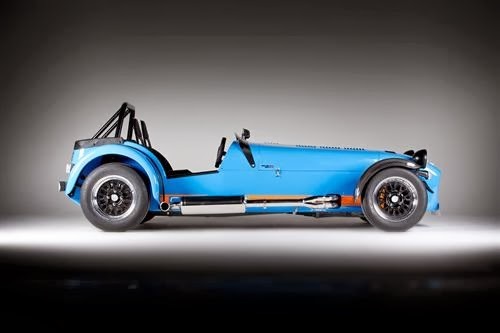 It was a logical step, as Caterham Cars had been responsible for keeping the Seven on sale since 1966, selling every single one that came out of the Lotus factory. At least under the skin, today’s Sevens are very different from the first ones that rolled of out Caterham’s factory. But they look pretty much the same, and are conceptually exactly the same. Despite ever-increasing power outputs, the principle of back-to-basics thrills remains intact. And you still buy one in kit form. They say life begins at 40, and with a well-moneyed owner, a Formula 1 team, the Aeroseven concept and an enticing tie-in with Renault’s Alpine brand, Caterham’s future is looking bright. 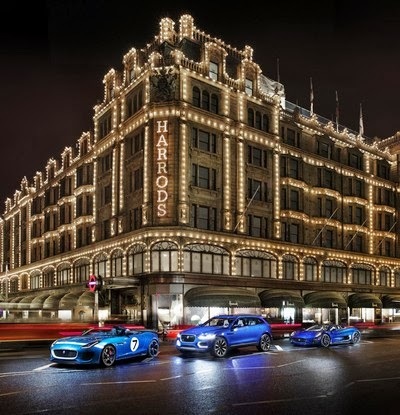 Jaguar has joined forces with design magazine Wallpaper* for an exhibition at Harrods in London. Jag’s designers have contributed various pieces to the Wallpaper* Handmade display. Apparently, the pieces translate Jaguar’s design language into other forms like a picnic basket and a pet transporter, whatever that is. An arguably more relevant display was parked up outside on opening night, as Jaguar gave the C-X17 crossover concept it’s UK debut. 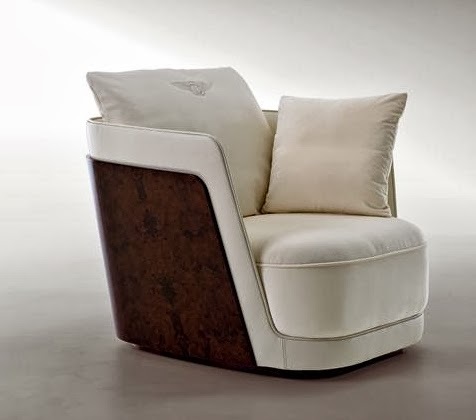 Meanwhile, Bentley has launched a new range of furniture from its ‘Bentley Home’ merchandise collection. It includes a bed, chairs, tables and cupboards, all made from the same sorts of materials you would find in one of Bentley’s cars. They’re really classy too, although they’re sure to be fearsomely expensive. No doubt they’ll soon be found in every billionaire’s guest rooms - ‘The Bentley Room’ has a nice ring to it.